A judge declared an impasse Tuesday over efforts to settle who owns the Los Angeles Dodgers after a bitter divorce between the couple who bought the team six years ago. Superior Court Judge Peter Lichtman had given both sides more than a week to accept a settlement proposal, which was kept confidential. Lichtman declared an impasse and reported it to Superior Court Judge Scott Gordon, who presided over an 11-day trial that centered on whether a postnuptial marital agreement is valid, said court spokeswoman Patricia Kelly. Attorney Marc Seltzer, who represents Frank McCourt, said in a statement that his client accepted the proposal by Lichtman. “He felt it was the responsible thing to do for his family, the Dodgers organization and the entire community,” Seltzer said. An impasse occurs when two sides are unable to reach an agreement, which likely means Jamie McCourt rejected the proposal, Seltzer said. Lichtman wasn’t going to inform either side if the other hadn’t accepted the deal. Michael Kump, a lawyer for Jamie McCourt, couldn’t say if his client agreed or declined the proposal. I was under the impression that Gordon would issue a ruling before the month was out, but AP says he could take until Jan. 19. More on the subject from Josh Fisher at DodgerDivorce.com. It’s not always about making an impression. On June 7 against the Dodgers, Blake Hawksworth had his worst outing of 2010, allowing six runs in four innings. But with Juan Uribe’s signing (made official today) rendering Ryan Theriot irrelevant, the Dodgers shipped the temporary second baseman off to St. Louis in exchange for Hawksworth. 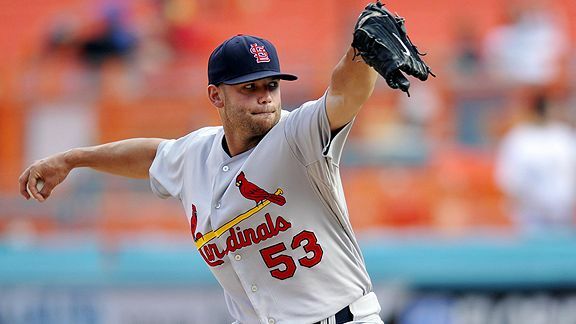 The North Vancouver-born righthander, who will be 28 in March, had a nice debut season in 2009, posting a 2.03 ERA in 40 innings of relief despite striking out only 4.5 per nine innings. In 90 innings over 45 appearances this past season (including eight starts with a 5.83 ERA), Hawksworth’s ERA soared to 4.98. In other words, he’ll fit right in with a Dodger bullpen that is looking for a number of comeback performances. But considering that Theriot was about to be non-tendered a contract, for nothing in return, Hawksworth will suffice as a salvage operation. Juan Uribe is poised to become the 47th player to wear both a Giants and Dodgers uniform since 1988, according to Baseball-Reference.com via ESPN Stats and Information (which also provides this analysis of the Uribe signing). Though signing ex-Giants might seem a Ned Colletti fetish, the players have been going between the two teams in a relatively steady stream over those past 22 years, with hardly a moment, if any, in which at least one player on one team hadn’t at one time played on the other. 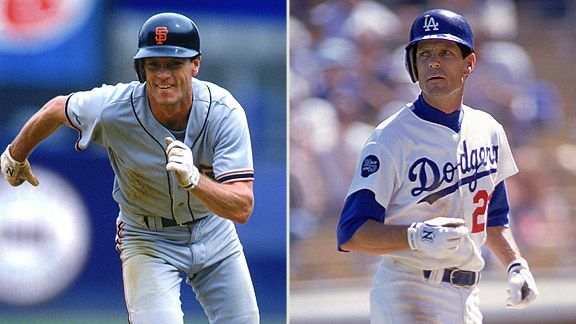 If you’ll allow for the somewhat subjective characterizations below, you’ll find that the Giants and Dodgers have had similar success (or lack thereof) with transplants. The number of players who have made relevant contributions to both teams is only five (and that includes Matt Herges and Marquis Grissom as “relevant”). Conversely, nearly half of the players on this list have been pretty much meaningless for both teams. By the same token, the number of players going from relevancy with one team to irrelevancy with the other, or vice versa, has been practically equal. If there’s any sort of noteworthy differential, it’s been that the Dodgers have been more likely to make an irrelevant Giant fill the same role in Los Angeles. I mean, really – 15 of these guys? Anyway, I’m more than a bit concerned that Uribe will become relevant-Giant-turned-irrelevant-Dodger No. 9, but Dodger fans can hope for the best. Farewell, Gil McDougald, one of the earliest historical names I can recall learning as a baseball fan, something that came about when reading about his line drive off Herb Score in an issue of Baseball Digest. McDougald was also the player doubled off first base following Sandy Amoros’ amazing grab-and-throw in Game 7 of the 1955 World Series. McDougald, who himself had been struck by a line drive in the ear, spent his entire 10-year career with the Yankees, retiring at age 32. 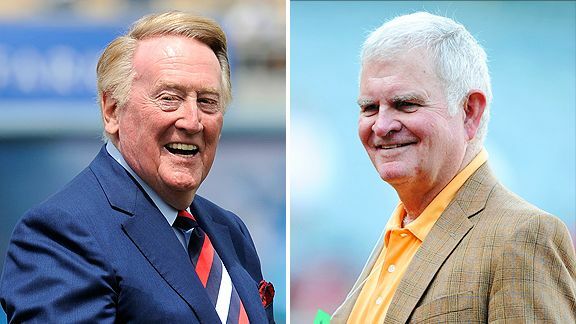 He coached at Vin Scully’s alma mater, Fordham, from 1970-77. A potential settlement in the McCourt divorce case could get some funding from law firm Bingham McCutchen as a way to fend off a legal malpractice suit, Bill Shaikin and Carla Hall of the Times reported last week. … That (mediator and Superior Court Judge Peter) Lichtman approached Bingham does not necessarily mean that (Judge Scott) Gordon is likely to throw out the agreement, said Lynn Soodik, a Santa Monica family law attorney. However, she said Lichtman could have identified Bingham funds as a source to narrow the nine-figure gap between what Frank has offered to settle the case and what Jamie has requested, with the probability that Bingham could stand to lose far more money in a malpractice suit. J. Michael Kelly, a Santa Monica family law attorney, said Bingham could face liability from whichever of the McCourts loses. “There is no way out,” Kelly said. Foley’s NY Pub & Restaurant has come up with a week-long “Steve Garvey Menu” in support of the Dodger first baseman’s Hall of Fame candidacy (via the Expansion Era committee). Results of this Hall vote will be announced Dec. 6. Meanwhile, Matthew Pouliot of Hardball Talk highlights some names that didn’t make the conventional Hall of Fame ballot in their first year of eligibility. Wilson Alvarez, Cal Eldred, Jeffrey Hammonds, Greg Myers, Jose Offerman, Paul Quantrill, Rey Sanchez, Ugueth Urbina — you are remembered. Charlie Haeger signed a minor-league contract with Seattle last week, the Mariners announced. Double-play grounders ate away a ton of Eric Karros’ offensive value, notes Beyond the Box Score. Who likes 2008 winner Hong-Chih Kuo as the 2010 MLB Setup Man of the Year? Clayton Kershaw is getting married this weekend, according to Roberto Baly of Vin Scully Is My Homeboy. Congrats to the happy couple! If you’re a 29-year-old ballplayer who has suffered through four pretty miserable offensive seasons, let Juan Uribe be your patron saint. Though it’s not official, Uribe is poised to sign a three-year, $21 million contract with the Dodgers, according to Buster Olney of ESPN the Magazine, two years after having been mediocre-to-miserable offensively with the Chicago White Sox from 2005-08. He averaged 16 homers per year during that period, but his on-base percentage ranged only from .257 to .301, leaving him far below average as a hitter. In January 2009, Uribe signed a minor-league contract that guaranteed him only $1 million if he made the major-league roster. But Uribe experienced something of a rebirth, in San Francisco of all places, and largely after turning 30 (although ESPN.com and Baseball-Reference.com disagree about his birthdate by four months). 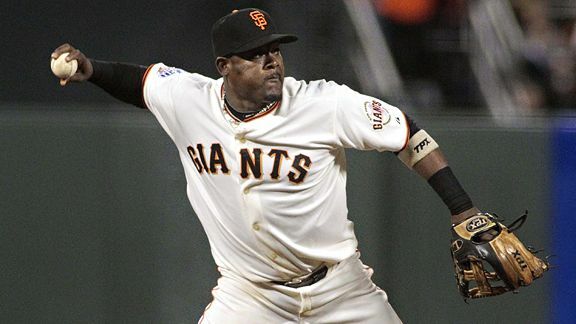 Uribe had an .824 OPS in 2009 for the Giants, then followed it up with a .749 mark and some pennant-worthy heroics for the World Series champions. And now, Uribe, who still made a relatively lean $3.25 million in 2010, has apparently more than doubled his income in becoming the Dodgers’ starting second baseman, as well as a guy who, like Jamey Carroll, can play short or third if needed. He fills a hole that needed filling for the Dodgers, but not at all cheaply. (Scholars will debate whether, with his on-base difficulties, he will be millions in value better than Blake DeWitt would have been, and Joe Pawlikowski of Fangraphs notes that in career terms, Uribe doesn’t even beat Ryan Theriot in value.). Uribe was a bargain for the Giants, but he’ll have to play at his best, for quite a long time, just to be worth his salary for the Dodgers. It’s 2-for-1 day again: Happy birthday to a pair of my all-time favorites. Jeff Gross/Getty Images For 4 1/2 seasons, the Dodgers never knew what they were going to get in Odalis Perez. Good stuff, but I was interested in something else, too. Given my surprise to find our starting rotation settled on paper before the end of November, I was curious how often in recent years the Dodgers had appeared to enter the season in better shape in their starting five than they’re in right now – and how they fared in those seasons. 2010: Charlie Haeger won a beleaguered fifth starter competition. The current 2011 rotation, with Garland as the fifth starter behind Clayton Kershaw, Chad Billingsley, Hiroki Kuroda and Ted Lilly, looks better. 2009: Rookies Kershaw and James McDonald looked promising on paper, but most people would probably take the 2011 quintet, with Kershaw two years older. 2008: Brad Penny was coming off a 3.03 ERA in 2007, Chad Billingsley was rising and Derek Lowe in the final year of his contract, while Kuroda was untested in the U.S. and Kershaw hadn’t arrived. In fact, it was the rotating arms in the No. 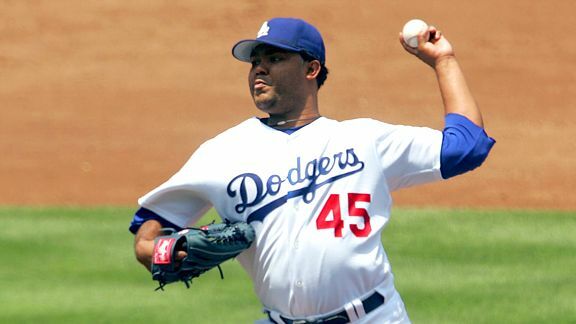 5 spot (a shaky Esteban Loaiza, a green Hong-Chih Kuo) that helped hasten Kershaw’s debut. The Dodger rotation heading into 2008 was probably better than the 2011 group – until Friday. 2007: This was the year newcomers Jason Schmidt and Randy Wolf (the first time around) were supposed to anchor the Dodger staff, joining Lowe, Penny and Billingsley. This was an exciting group – until Schmidt and Wolf combined for 24 starts and a 5.05 ERA. 2006: Lowe, Penny … Odalis Perez (coming off a poor 2005) … Brett Tomko and Jae Seo. A little bit of wishful thinking, here. 2005: New free agent Lowe, Perez (coming off a strong 2004) and Jeff Weaver for the front three. The Dodgers knew they’d be dealing with filler at the No. 5 spot, and with Penny coming back late from his 2004 injury, they were duct-taping No. 4 as well, ultimately starting April with the likes of Elmer Dessens and Scott Erickson. 2004: The Dodgers’ first playoff trip of the century began with Hideo Nomo, Perez, Weaver and Kaz Ishii – not a bad front four if you thought the 25-year-old Perez would regain his 2002 form. The other three had ERAs below 4.00 the year before. The fifth starter left in TBD status until the job was seized by Jose Lima, who had a memorable year through and into the playoffs (after having thrown 503 2/3 innings with a 6.18 ERA since 2000), while Ishii ended up struggling and Nomo fell apart. 2003: Kevin Brown was coming off an injury-plagued 2002, but there was still hope for him (rightfully so) to lead a staff that also included a resurgent Nomo, Ishii and Perez (3.00 ERA in 2002). Darren Dreifort, attempting a comeback after going more than 20 months between games, got the first chance at the No. 5 start, but the Dodgers also had Andy Ashby (3.91 ERA in ’02) as a No. 6 starter. So there was depth, but also an understanding that the depth could be needed immediately. 2002: Lots of new blood to join Brown and Ashby: Nomo (returning as a free agent from Boston), Perez (acquired with Brian Jordan in January’s Gary Sheffield trade) and Ishii (signing his first U.S. contract on February 28) – not to mention Omar Daal, another returning former Dodger who came in an offseason trade from Philadelphia but began the year in the bullpen. By the time Spring Training started, the staff was deep – one of the reasons second-year manager Jim Tracy experimented with converting a guy who had made 24 starts in 2001 into a reliever: Eric Gagne. 2001: In his last year before becoming a free agent, Chan Ho Park was the Opening Day starter for the Dodgers, followed by Gagne, Dreifort, Ashby and – in place of Brown, who was limited by injuries – Luke Prokopec. Either Gagne or Prokopec were to be the No. 5 starters on paper, after making some waves in 2000. You might laugh now, but there was reason to think this could be a pretty decent starting rotation. 2000: You had Brown, Park and Dreifort, all coming off solid 2000 seasons. Then you had Carlos Perez, who had a 7.43 ERA in 1999. And rounding out the fivesome, you had the last gasp of Orel Hershiser, who had a 4.58 ERA with the Mets at age 40 the year before. It did not go well for this rotation. In terms of Dodger starting rotations that had proven talent in all five slots since 2000, you’d have to look at 2007 and 2002 as the leading lights, with honorable mention to 2003. 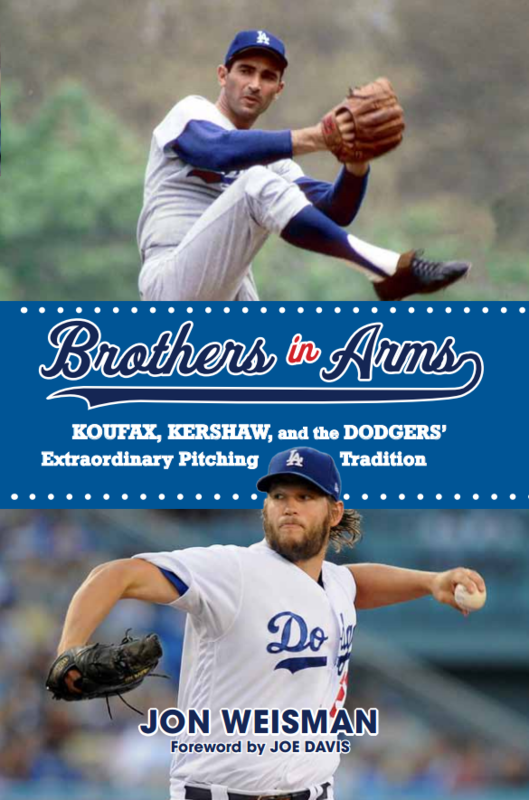 Neither of these teams, of course, reached the playoffs (though the ’02 team won 92 games), while the Dodgers’ past four playoff teams all had question marks in at least one spot in the starting rotation entering the season. Forgive me, but I have to give a shout for my alma mater, which has gone from 1-11 four years ago to 11-1 tonight. Stanford has had a brilliant season, pitching three shutouts while scoring at least 30 points in all but one game and winning eight times by at least 20 points. There have been a couple of close calls, but mostly it has been dominance, with the Cardinal’s only loss coming on the road to the nation’s No. 1 team after leading at halftime. Stanford should be ranked No. 4 in the BCS standings after tonight’s games. I’m rooting for a couple of wins and a couple of losses in the right places, in the hopes that Oregon and Stanford might finish Nos. 1-2 in football. But however it turns out, it’s been a spectacular year for these players. In a move that’s mainly surprising for not having happened a year ago, the Dodgers have reacquired pitcher Jon Garland, signing him as a free agent for a one-year deal at a fairly svelte $5 million plus up to $3 million more in potential incentives, according to Ramona Shelburne of ESPNLosAngeles.com. There is an $8 million club option for 2012 (which automatically vests if he pitches at least 190 innings in 2011). Garland, 31, gives up his share of home runs and doesn’t strike out a whole bunch, but he has made a career out of durability and adequacy. The Dodgers have gone with him over Vicente Padilla, which many people thought would have been a logical move last offseason. If you look at the primary starting pitchers for the Dodgers year-by-year, the Dodger rotation of Clayton Kershaw, Chad Billingsley, Hiroki Kuroda, Ted Lilly and Garland is one of the best they’ve had heading into a season in recent years. Last year, as the Dodgers noted in a press release, the quintet combined for a 3.39 ERA (not adjusted for park effects), which would have led all major-league rotations. Three of these guys are on the wrong side of the age curve, but it’s still a strong foundation to say the least. Pretty strong strides for November. “I know there’s a lot of people out there that don’t think I’m any good,” Garland said with a sardonic laugh after being told he was a trending topic on Twitter and reaction had been largely positive to his signing. “I’m excited for the opportunity to come back to L.A.,” he then said. “It’s a ballpark that plays to my style of pitching. Said Colletti: “We’re very happy to have Jon back with us. His ability to pitch a lot of innings was certainly attractive to us, and he’s won his fair share of games. “Every year is different, and the composition of our club was different in some ways a year ago than it is right now. … We felt that we needed to shore up our pitching as best we could, and do it with five starters. Remaining top priorities: “I think we need another bat and another relief pitcher, and figure out the catching situation,” Colletti said. But on this day, I just wish to celebrate once again the fact that baseball has eliminated its nonsensical rule that prevented teams from negotiating with their own free agents if they declined arbitration – a rule that gave the 29 other teams a distinct advantage over the player’s most recent team. Having nothing to do with these three players, I’m just glad a stupid rule is no more. As True Blue L.A. reminds us, December 2 is the deadline for the Dodgers to offer arbitration to non-free agents: Russell Martin et al. Meanwhile, in the Noah’s Ark that bears non-roster invitees to Spring Training two-by-two, the Dodgers now have a pair of sub-mediocre ex-Diamondbacks, Dana Eveland and Oscar Villarreal. Kuroda, who signed a one-year, $12-million contract on Nov. 15, said that returning to his native Japan was the only other option he really considered. Though he was pleased with his performance in his three seasons with the Dodgers, he still felt he had more to accomplish. “There are so many other things that I wanted to accomplish that I haven’t yet, so that’s why I wanted to come back,” he said. First Hiroki Kuroda’s return, and now this: Davey Lopes is going to be part of the Dodger coaching staff. Could it be that this might actually be a fun Dodger offseason? I believe I have told the story here (though I can’t find the link now) of the time we were guests at a Staples Center luxury suite for a Clippers game, and my middle child, then about 4 years old, spontaneously decided to try to lap from his second-row seat to the front row. Just out of my frantic reach, he managed to stick the landing, but he could have just as easily toppled forward and out of the suite to the ground below. It was one of the most frightening experiences of my life. My heart goes out to the family of this child. Update: Here’s the link to my family’s incident at Staples two years ago this month. In what will be a Thanksgiving week of relatively light posting from me, here’s a link to the news release of the Dodgers signing two Japanese prospects, 21-year-old pitcher Kazuki Nishijima and 18-year-old pitcher Kazuya Takano, to minor league contracts.